Step 08: Who to apply with? Who is the British Embassy? This is based in Pretoria. It is where the British High Commissioner works from. The British Embassy (also referred to as “British High Commission”) is here for a couple reasons. The first reason is to help fellow British nationals in South Africa. The second reason why their is a British embassy in South Africa is for the British government to nurture economic ties with the relevant South African government. The British embassy in South Africa therefore acts as representatives for the British government. If the British government wants to talk to the South African government, they do so through the British High Commissioner. Taken from British High Commission’s site. As a matter of interest, it works the other way round too. If our South African government wants to talk to the British government, they do so through the South African representative at the South African embassy in London. What can be concluded though is that the British Embassy does not deal with UK visas (processing or decision making). Who is the British High Commissioner? Now that I have your attention (and I hope you enjoying finding out how the relevant governments work), we can see that the British Consulate is based in Cape Town. Very similar role to Pretoria’s British Embassy, in terms of supporting British nationals in South Africa and maintaining political (and economic) ties with SA government (on behalf of British government). Location seems to be the primary big difference here. Taken from British Consulate site. Again, it is important to note that UK visas are not processed here. Who is the Commercial Agent? The Commercial Agent, appointed to handle the front of house (and deal with the thousands of daily UK visa submissions in South Africa in person) is Teleperformance. The previous (and first commercial agency in South Africa) was VFS. 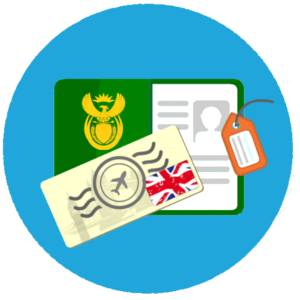 VFS have since changed contracts and now work on behalf of our South African government (handling South African visa applications). Whereas Teleperformance now works on behalf of the British government and handles UK visa submissions in South Africa. Who are the Visa Representatives? At this point, it is important to note that dealing with a Visa Representative is entirely optional. It is not compulsory for South Africans to deal with Visa Representatives. The theory is that the British government have created a self explanatory visa system that is meant to be “user friendly”. Daily, the British government tries more and more to make the process easier (and things are a lot better than they were). Visa representatives on the other hand, cater for South Africans who don’t have the time to read, research, understand and make assumptions about the UK’s immigration legislation (and its visa requirements/expectations). Visa representatives are an additional cost and cater for South Africans looking for peace of mind in their visa submissions. Visa Representatives therefore serve to save the applicant time and reduce risk in their visa submissions. The risk of getting a visa refused has greater consequences than the initial cost of their representation. Who is the department of UK Visas and Immigration? Based in the United Kingdom, the UKVI (department of UK Visas and Immigration), serves to globally implement the UK’s immigration legislation. This department used to be known as “UK Border Agency” (UKBA) but the British government have separated the border security at the airports (still handled by the UKBA) and the security of immigration compliance (now handled by UKVI). When South Africans want to call and speak to the British government about UK visas, they are transferred through to the UKVI (in London). South Africans are charged approximately R25 per minute to make this phone call. What we have found is that the UKVI are expected to give global advice about immigration matters. They tend to make mistakes or they are not equipped with enough information to handle SA specific information. Hence Visa Representative companies have formed to solve this need. Who are Entry Clearance Officials? The Entry Clearance Officials (ECO) are the decision makers in the UK visa applications. ECO’s work for the UKVI in a remote office in Pretoria. They are responsible for making various checks before granting the South African applicant permission to enter the UK. South African passport holders rarely get an opportunity to meet face to face with ECO’s. 99% of visa cases are processed and decided upon based purely on the paper work that they supply. It is not possible to speak to ECO’s or email them about visa related questions. Their role at the UKVI is to make decisions to award permission to pass through the UK border or not (given in the form of a UK visa). Who do I need to deal with to get a UK visa? 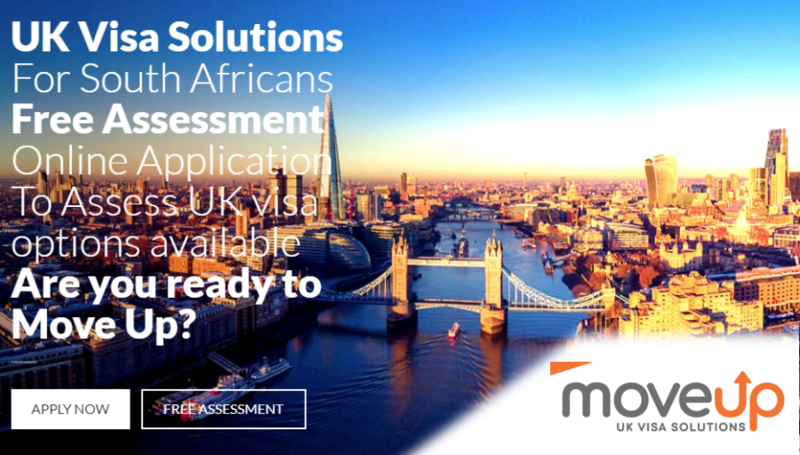 With the above information in mind, South Africans have the choice of either dealing with UK Visa Representatives (like Move Up) or to apply directly with the British government, through their commercial agency, Teleperformance. The next step (Step 9 of 12) is: Supporting Documents. We trust you have noticed that Move Up currently only offers UK visa assistance. This specialized approach ensures that they under promise in visa representation and over deliver with approved results. If you are uncertain of which visa to apply or what documents are needed, Move Up offer affordable immigration representation. Move Up operates on a full refund guarantee that in the unlikely event of not being awarded your visa first time, their case fee will be refunded in full. Thank you for giving us the opportunity to help you. Posted in Step 08: Who to apply with?